Jenine Marsh: installation view of The Cut Flower Still Blooms at 8-11, Toronto, May 2–23, 2015. Images courtesy the artist. Photos: Yuula Benivolski. 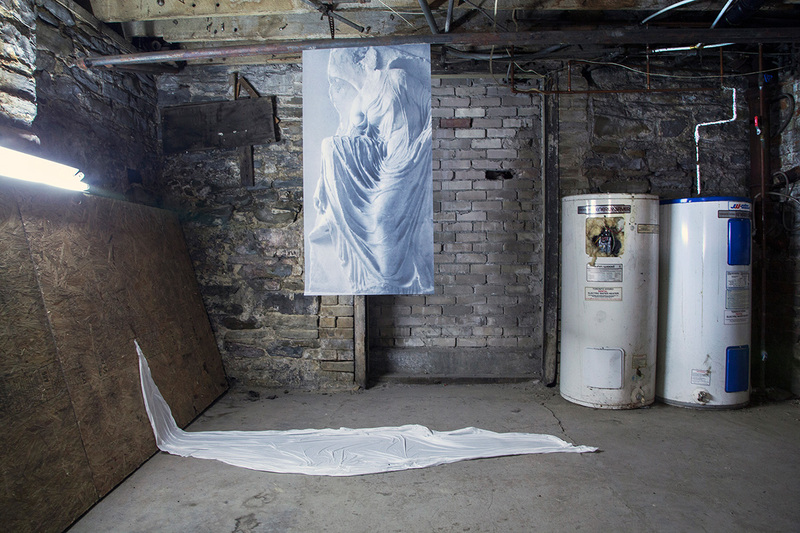 Jenine Marsh: installation view of The Cut Flower Still Blooms at 8-11, Toronto, May 2–23, 2015. Images courtesy the artist. 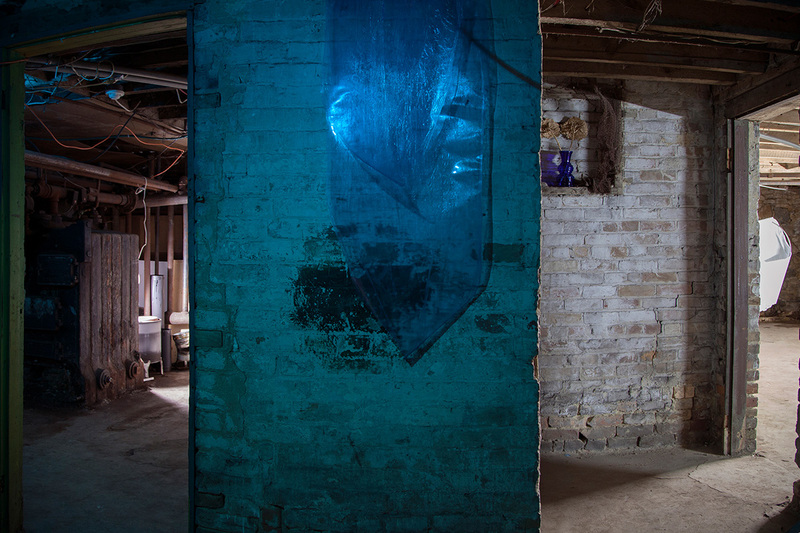 Jenine Marsh: installation view of The Cut Flower Still Blooms at 8-11, Toronto, May 2–23, 2015. Images courtesy the artist. Jenine Marsh: installation view of The Cut Flower Still Blooms at 8-11, Toronto, May 2–23, 2015. Images courtesy the artist. 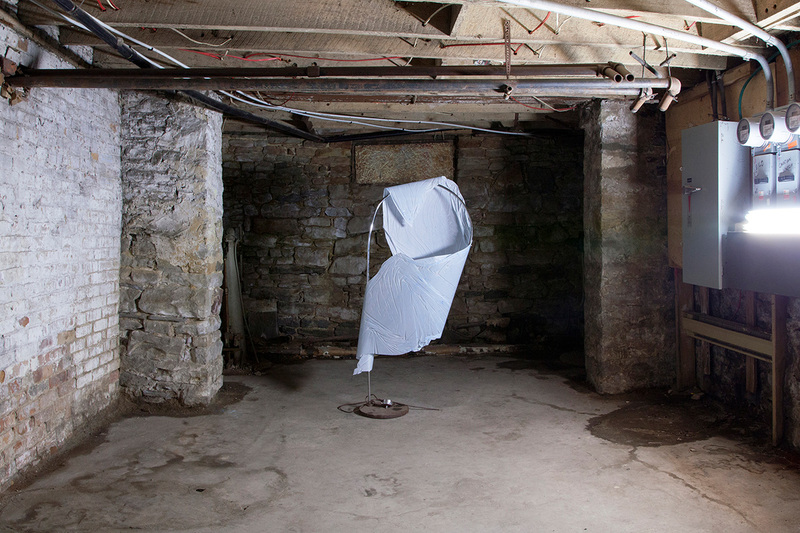 Jenine Marsh: installation view of The Cut Flower Still Blooms at 8-11, Toronto, May 2–23, 2015. Images courtesy the artist. 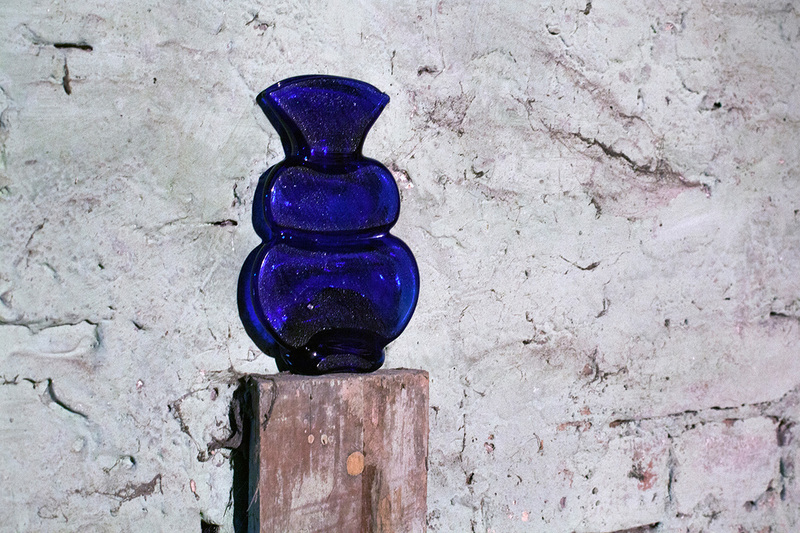 Jenine Marsh: installation view of The Cut Flower Still Blooms at 8-11, Toronto, May 2–23, 2015. Images courtesy the artist. 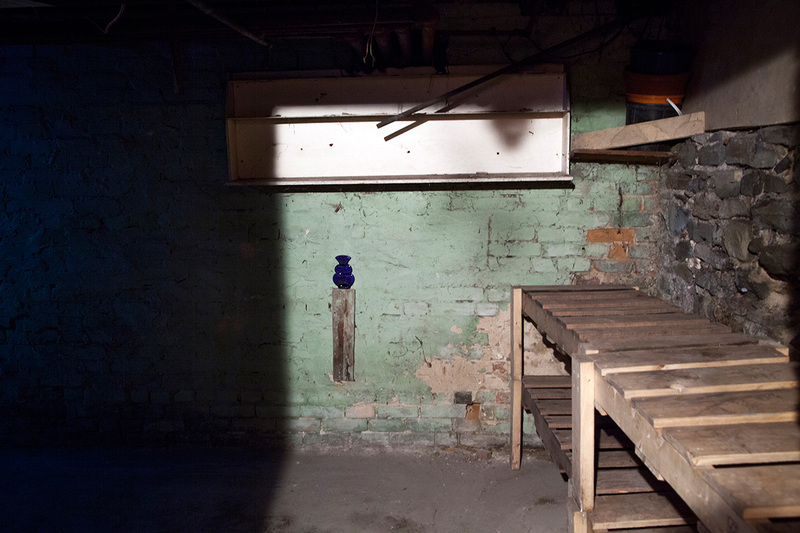 Jenine Marsh: installation view of The Cut Flower Still Blooms at 8-11, Toronto, May 2–23, 2015. Images courtesy the artist. 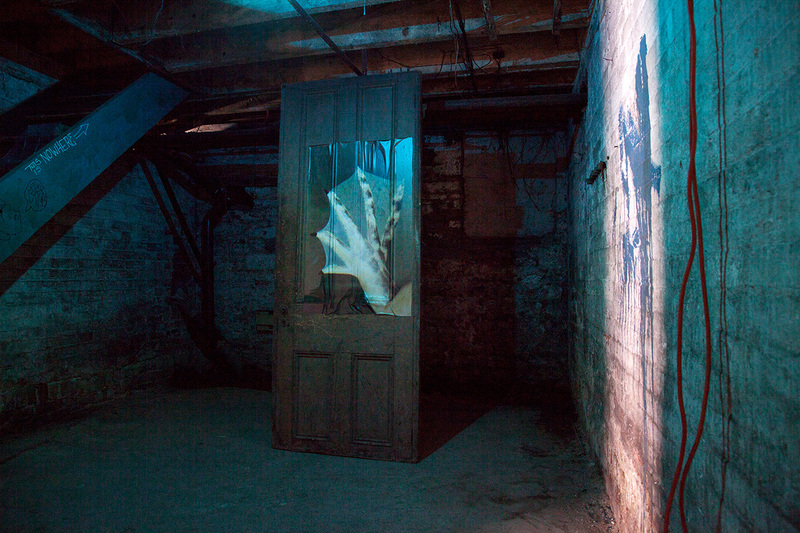 Jenine Marsh: installation view of The Cut Flower Still Blooms at 8-11, Toronto, May 2–23, 2015. Images courtesy the artist. Jenine Marsh: installation view of The Cut Flower Still Blooms at 8-11, Toronto, May 2–23, 2015. Images courtesy the artist. Jenine Marsh: installation view of The Cut Flower Still Blooms at 8-11, Toronto, May 2–23, 2015. Images courtesy the artist. Jenine Marsh: installation view of The Cut Flower Still Blooms at 8-11, Toronto, May 2–23, 2015. Images courtesy the artist. 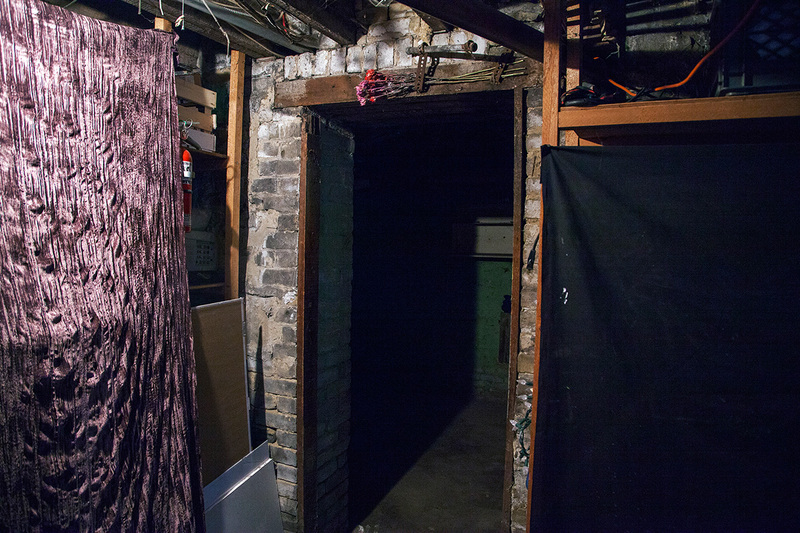 The basement of 8-11 is a labyrinth of dark rooms and slim passageways. 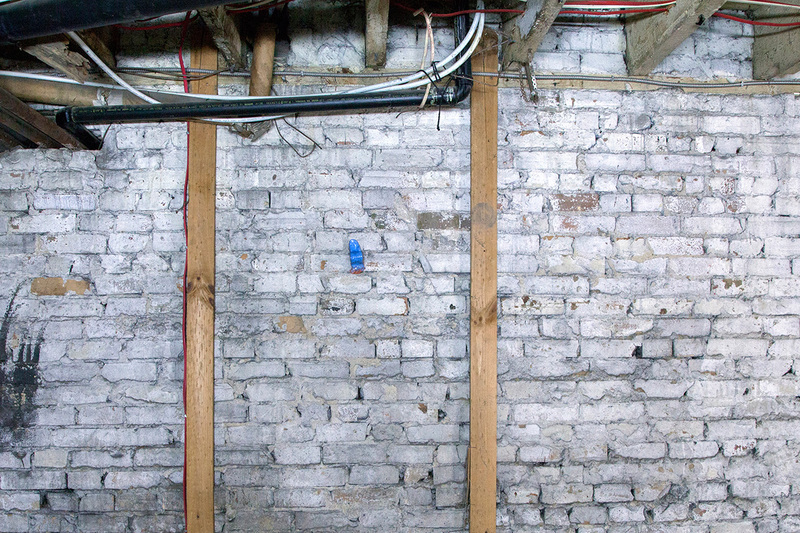 Its moist air and brick walls create a secretive, Tales From The Crypt-like environment for exhibitions. In The Cut Flower Still Blooms, Jenine Marsh goes in for spookiness, but maintains a keen sense of pacing and poetic sleight-of-hand. An array of visual objects—sculpture, glasswork, and ceramics—exist (aesthetically, at least) somewhere between The Secret Garden and Ghostbusters. The outcome is an affective, visual mediation on the corporeal. Marsh often toys with the viewer’s expectations of the origins and intentions of objects. In this latest effort, she moves beyond Duchampian concerns of the ready-made (i.e., did the artist make that or is it weird basement junk?) and towards a more-focused musing on surface, texture and form. For instance, a bouquet of flowers. 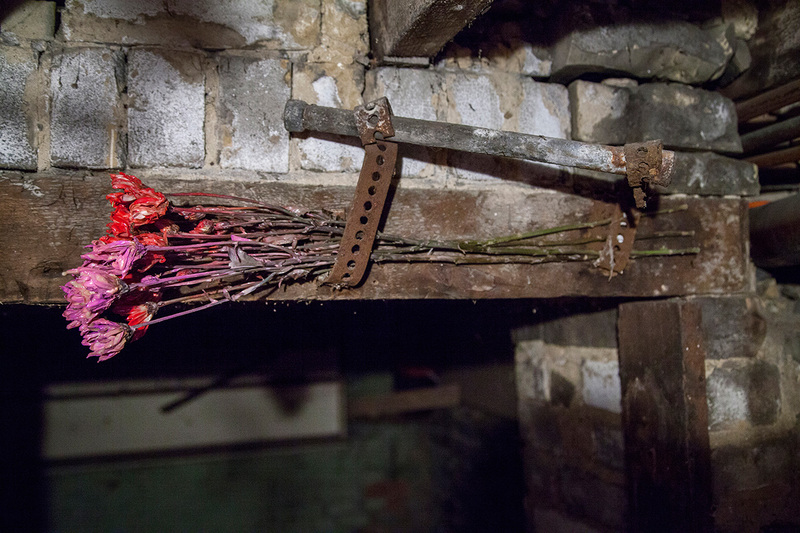 Looking closely, the flowers are dead, dipped in dyes and synthetic rubber. Tucked above the basement door, the festoon is ambiguous, pretty and macabre. Marsh appraises the human body as a vessel and explores skin as the ultimate media. Marsh’s interest in skin—figuratively—as a bodily container and sentient surface allows a lot of room for visual experimentation. 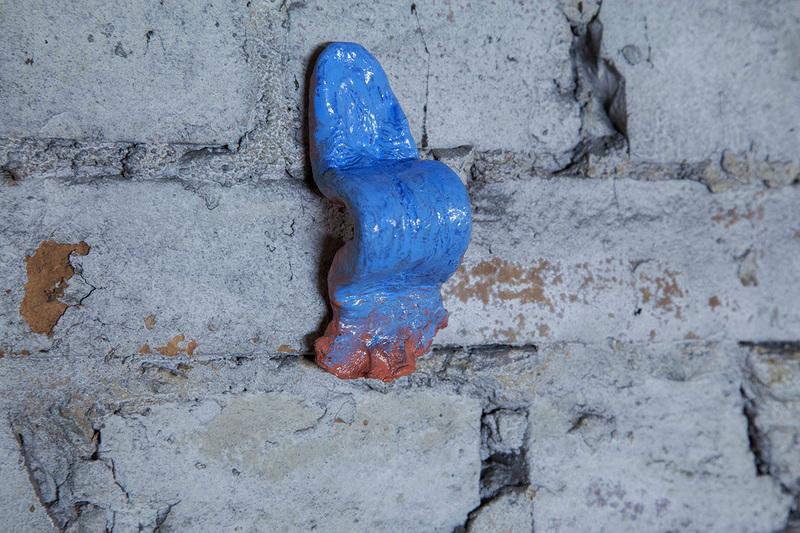 Her choice of filmy synthetic materials, such as acetate, plastic sheeting, and acrylics mimic the delicacy and translucency of skin (on more than one occasion, large oval forms hang from overhead pipes or drape over debris), while ceramics distort the form and function human tissues (a thickly coiled terracotta tongue on the wall, for example). In a welcome reprieve from the uncanny, Marsh changes pace from subtle gestures in a work entitled Palmslide (all works 2015) that reads as kitschy set design for a B-movie thriller: an inkjet print on adhesive vinyl of a skinless, webbed hand appearing to push open an old wooden door. 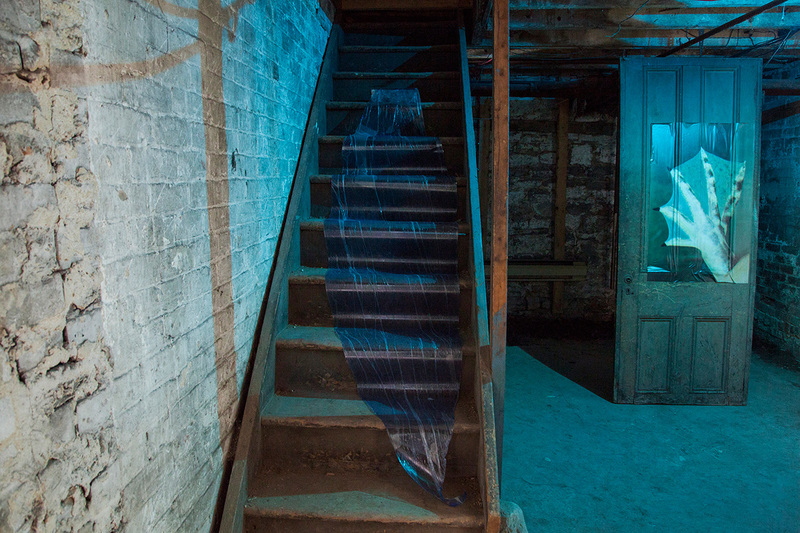 Next to it, a membrane of dark plastic appears to ooze, formless, motionless, down a stairwell. And this is what’s really spooky: Marsh is not dealing in dead bodies, but instead conversing strangely with the digital, probing the integrity of living tissue and organisms. In the innermost basement room, her mix of surrealist, sci-fi imaginings encounter Classical imagery. Elegiac allusions to Greek friezes such as Nike Adjusting Her Sandal (c. 410 BCE) allow the human form to marbleize and hover. Marsh’s material impulses add up to an equivocal experience of cell-communication. Her expressive use of flowers and forms that reference the shape and surface of petals, tongues, and skin cells creates a visual metaphor of surreptitious cellular life that buds again and again in the darkness. “The poet [and here all we need to do is to substitute “artist” for “poet”]’s mission it to attract the voice which is yet inaudible to the air; to inspire faith in a dream which is unfulfilled; to bring the earliest tidings of the unborn flower to a skeptical world,” wrote the Bengali poet Rabindranath Tagore. In balancing scary and subtle in a dimly lit context, Marsh allows for morbid and beatific encounters with unresponsive objects that are not necessarily empty of life. Penelope Smart is a writer and curator. She holds an MFA in Criticism and Curatorial Practice from OCADU (2013) where she received the President’s Award for Outstanding Achievement in Graduate Studies. 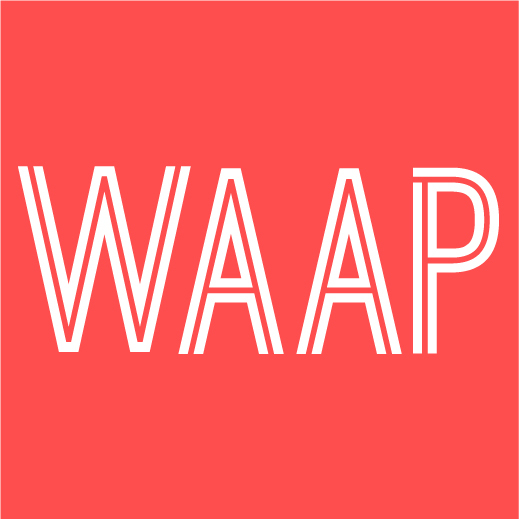 Smart has held curatorial positions at MULHERIN galleries (Toronto/New York) and The Art Gallery of Ontario. Her writing has appeared in C Magazine as well as in a variety of exhibition essays and independent artist publications. She lives and works in Toronto.